Incorporating to a local firm or business entity with the Companies Commission of Malaysia (SSM). Registering the foreign firm in Malaysia (SDN BHD malaysia company) with SSM. As per Companies Act 1965 (CA 65) a foreign firm can be defined as a corporation, association or a company that is incorporated outside Malaysia. They can also be defined as an unincorporated firm or business entity which has the capability to sue or get sued, acquire property of its own in the name by the secretary, directors or other officials who are duly appointed by the company itself and most important the business firm is said to have its principal or head office outside of Malaysia. (i) Form 13A of the CA must fully completed with accurate details and submitted (Request for Availability of Name) to SSM. (ii) A payment of RM30.00 has to be made for each proposed name applied. * Once SSM approves the name proposed by the foreign firm for registration, it is kept restrained for at least 3 months from the date of approval. Once the proposed name is approved by SSM it is important that all registration documents and legal papers must be handed over to SSM within 3 months from the data of approval. A entire fresh application for a name search should be performed again for failing to provide the asked documents within restricted time. B. REGISTRATION DOCUMENTS AND OTHER LEGAL PAPERS. (i) Certified or authorized document of the certificate of incorporation or registration of the foreign firm. (ii) Certified or authorized do of the foreign company’s sanction, law or memorandum and other related issues that defines the association in separate. (iv) An authorized appointed memorandum or power of attorney in the name of the person (s) residing in Malaysia, who will be able to accept on behalf of the foreign firm itself any notices, warnings or announcement is issued to the firm itself. (iv) Form 80 (Statutory Declaration by Agent of Foreign Company). (v) Other additional documents i.e. the original copy of Form 13A, copy of the letter issued by SSM on the approval of the proposed name by the foreign firm etc. The amount of registration fees (for consoling), the official capital and shares of the foreign firm must be converted to the Malaysian currency (Ringgit Malaysia). Conditions In certain cases and the foreign business organization does not allocate any share capital, a flat rate of RM 1,000.00 must be paid to SSM. Once all the documents and paper works with valid information is provided to SSM by the foreign company, they will issue an authorized certificate of registration in the proposed name of the foreign firm or the business entity. an unorganized society, association or alternative body that underneath the law of its place of origin could sue or be sued or hold property within the name of the secretary or alternative workplace of the body or association punctually appointed for that purpose and that doesn’t have its head office or principal place of business in Malaysia. Every foreign company assuming to continue business in Malaysia shall register itself as a distant company underneath the CA 2016 with the businesses Commission of Malaysia (“SSM” or “the Registrar”). a distant company registered underneath the CA 2016 is usually said as a “branch office”. Kensington company Services (Malaysia) Sdn. Bhd. could be a management services company in Malaysia and is in a position to help you with registration and administration of your branch workplace. No foreign company is allowed to register to hold out wholesale and retail trade business in Malaysia. All wholesale and retail trade businesses with foreign interests should operate through a regionally incorporated company in Malaysia. The foreign company should in the least times have a registered workplace among Malaysia. The registered workplace is wherever all communication and notices to the foreign company could also be addressed and that shall be open and accessible to the general public throughout normal business hours. A Branch workplace is taken into account and taxed as non-resident company. it’s not eligible for any native tax advantages / incentives. Tax rate of pure gold on profits due to the branch. Filed with the Registrar every year not later than thirty (30) days from the day of its registration date. Within 2 (2) months of its AGM, lodge with the Registrar a replica of the money statements to it company at the place of its incorporation or origin and a punctually audited statement showing the foreign company assets utilized in and liabilities arising out of its operations in Malaysia. It is mandatory for the foreign company to file official document with the Malaysian administrative body Board. Address: A-15-03 Tropicana Avenue, No 12 Persiaran Tropicana, Tropicana Golf & Country Resort PJU3, 47410 Petaling Jaya, Selangor, Malaysia. 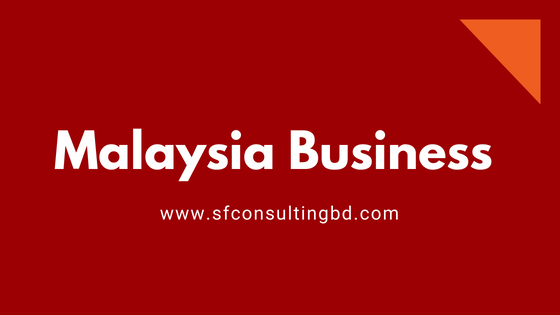 Register a business in Malaysia: we can help you to register company (sdn bhd), there is no hidden costs and tricky add-ons for opening a company or company registration Malaysia. Incorporate a Company (Sdn. Bhd.) you have to know about Malaysian company registration Cost (SDN BHD registration cost) see here all of registration fees. The Registrar of Companies (ROC) Name Search Fee – For Each Company Name Search – RM 30 each for Company. Authorized Capital Fee Payment to the ROC for Authorized Share Capital of RM 100,000.00 – RM 1,000. Stamp Duty Fee Payment to the Treasury for the Memorandum and Articles of Association – RM 200. The Preparation of all Relevant Company Secretarial Forms and Filing of the Forms with the ROC. The Commissioner of Oaths(SSM) Charges for the Statutory Declarations for All the Company Directors. Company Common Seal – Top Quality – Guaranteed to Last for 10 Years. Printed Share Certificates Book – All Share Certificates Pre – Printed in the Company’s Name – Not the Blank Share Certificates. Statutory Company Register Books in accordance with the Companies Act, 1965. Board of Directors Meeting Minutes Book of the Company. Five Sets of the Memorandum and Articles of Association (M & A). 3 Sets of CERTIFIED TRUE COPIES of All Documents of the Ready-Made Shelf Company by the corporate SECRETARY form forty-nine – Company Directors’ Particulars, form 24 – Share Allocation kind, form 32A – Share Transfer kind. 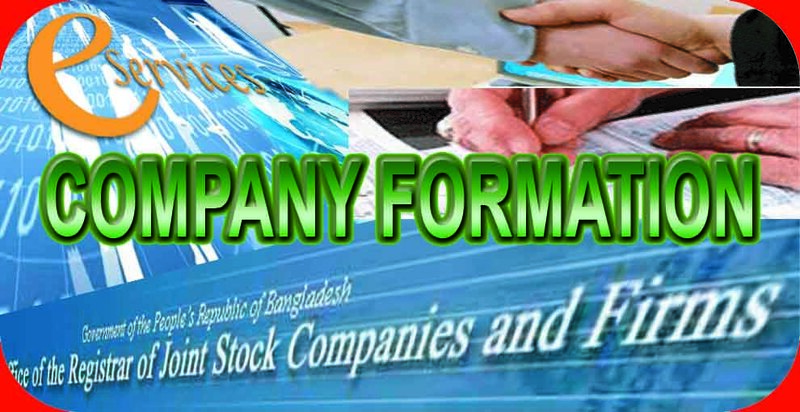 form form – Certificate of Incorporation and form forty-four – Particulars of Company Registered office – freed from Charge. The Preparation of the First Company Bank Account Opening Resolution – (To Open the Company Bank Account). The Preparation of the First Company Statutory Board of Directors Meeting Minutes – within 30 Days. The Free Company Bank Account Chop/Stamp – Already Pre-Prepared. For Shelf Companies ONLY – usually RM 50 Ready in 1 Hour – FOC. The Appointment of The NEW DIRECTORS (at least TWO) – For Ready Made Shelf Companies – ONLY. The Cost of Preparation of Documents, Travelling Expenses and other Related Cost for the NEW Company INCORPORATION. Share Transfer Fee for The Shelf Company First Share Transfer – only for Shelf Companies. Free Application Forms for Company Bank Account Application Available – Save Yourself A Trip to The Bank. Free Parking – Our Office Area Has Many Street Level Parking Lots and Not the Underground and Expensive Parking Lots. Our Professional Fees and finally a decently small profit for our company. COMPANY DIRECTORS – DUTIES AND RESPONSIBILITIES. COMPANY DIRECTORS – CODE OF ETHICS. COMPANY SECRETARY – DUTIES AND RESPONSIBILITIES. COMPANY SECRETARY – CODE OF ETHICS. SETIAUSAHA SYARIKAT – KOD ETIKA. FUNCTIONS OF THE SURUHANJAYA SYARIKAT MALAYSIA. FUNGSI SURUHANJAYA SYARIKAT PENDAFTAR SYARIKAT MALAYSIA. Cheap service prices do not mean best possible services. Normally our Monthly Secretarial Fees are about RM 70.00 per month. Also, we charge RM 10.00 per month for out of pocket expenses (like courier, postage and other miscellaneous charges) and RM 10.00 per month for using our office as the Registered Office of your company. However, we can work out a special fee arrangement for you please contact us for any types of discussion. Setup a organization in Malaysia exploitation SDN BHD (Sendirian Berhad) is also the most effective alternative. There ar major advantages of exploitation this structure that no different structure offers. The liability is restricted. AN entrepreneur’s personal wealth is protected if the business encounters a loss or if the business fails. taxation risk exposure is low. SDN BHD tax coming up with is best because the company is considering as a separate legal entity. Tax saving up to twenty compared to private taxation. The Business Continuity can ne’er stop. an organization exploitation SDN BHD can ne’er expire. obtaining a loan is additionally abundant easier as a SDN BHD. It all depends on company’s income, strategy and business prospects. Accounts of SDN BHD Company ar deeming as additional reliable and trustworthy. The possession of foreign interest within the company are subject to foreign equity policies of the country which can vary from trade to trade and conjointly from case to case. Foreign Investment Committee (FIC) is that the federal agency that sets policies on foreign investment in Malaysia. Approval from FIC and/or different government agencies (eg. Ministry of International Trade and trade (MITI), Ministry of Domestic Trade and shopper Affair or Bank Negara Malaysia (Malaysia Central Bank)) could so be needed for foreign equity. The foreign equity allowed could vary from half-hour to 100 percent looking on the kind of trade and sector. However if the aim isn’t to begin business in Malaysia forthwith, the foreign capitalist might also contemplate putting in place a Representative workplace initial in Malaysia. A Representative workplace will be accustomed undertake market and practicableness study. it’s not allowed to hold on any business activities like producing or mercantilism which can generate financial gain from its operations. Expenses incurred ar to be wholly funded by its head workplace. Approval from the relevant Government Agencies like MITI is needed the putting in place of a Representative workplace in Malaysia. Business address if on the market. Authorized share capital and paid up capital. Particulars of the administrators or shareholders – (photocopy of IC or passport of every director or shareholder) (one of the director should have his primary place of residence in Malaysia). Filling of company documents with the businesses Commission of Malaysia. A certified copy of its charter, statute, memoranda and articles or different instrument shaping its constitution. A list of its administrators incorporated with particulars of passport no., residence address, date of birth, occupation and position. Other documents needed for filling. Latest Annual Report of Company/Financial Statement. Certified certificate of incorporation of company and alter in name only of company if any. Certified copy of certificate of qualification for the projected expatriate and private particulars. Description task of AN expatriate post. Purpose of putting in place representative workplace. We conjointly give different services like Company Registration Malaysia, Business Registration Malaysia, Business setup Malaysia, Malaysia My Second Home, Accounting Malaysia, Virtual office in Malaysia. Call us currently +601136901890 (Viber/ WhatsApp) or visit our website http://www.sfconsultingbd.com for more information! It is straightforward to register your company with us by refill our company registration Malaysia form and supply us the details as needed. A company secretary WHO are often either:1. a private WHO may be a member of an expert body prescribed by the Minister of Domestic Trade and shopper Affairs; or a private authorized by the businesses Commission of Malaysia (“SSM”). Both the director and company secretary shall have their principal or solely place of residence at intervals Malaysia. Our company secretary is qualified and approved company secretary in Malaysia beneath firms Commission Malaysia to act on behalf of public WHO will register or to include company in Malaysia. Once we have a tendency to received the corporate registration kind and up front deposit a minimum of 2 hundredth, any action can obsessed to use the planned name and result ordinarily take at intervals one hour to one operating days once submission at CCM counter. We will inform the standing of the corporate name search result and once we have a tendency to get approval than any step to arrange and send the Incorporation documents and different relates kind are causation to you either by traveler or via e-mail. Kindly come back back to us the incorporation documents once signed by the board of administrators and shareholders alongside the remaining payment for U.S. to proceed any to register your company at CCM. Name search result – 1 operating day upon submission. Registration of company – five operating days upon submission. The whole method to include an organization can take minimum five to seven operating days. Our company registration worth includes full package with the corporate documentations and statutory book punctually certified by the officer or company secretary. We will than turn over you the sets of company documents punctually certified by the corporate secretary and you’ll open the corporate accounting to start out your business operation. All the higher than necessities, procedure square measure certain beneath the businesses Act,1965. 1) New Company Registration kind. 2) New Company Registration worth. You know company registration is the term for the process of incorporation of a business in every country. it is a law process. we help you on Malaysian company registration and business formation related all procedure. only not it, we mentioned in our website Malaysia company registration related all service…. How to register a Malaysian company? Yes, if you follow some way, you can easily register. But step by step process is mentioned. Visit our official website and known about how to register a company in Malaysia. You want to start a small business in Malaysia. But, you don’t understand how to start a small business. Let’s start your business, Check our concepts in website. Hope, you can choose these small business ideas. Everyone says, how much money need for Malaysian company registration? Actually there are two types of fees charged invoice by the consultants, (!) Professional or consultancy Fees (!!) Government fees. If i told in here that details, it’s long for me. So please go to our website and known more details…. 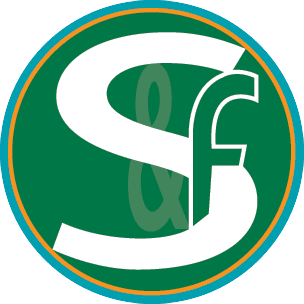 S & F CONSULTING FIRM LIMITED is an international business consultancy firm incorporated asprivate limited company in Bangladesh. 1| It is by law that a company must have at least 2 directors therefore you need to have 2 willing person to jointly agree to be the directors. 2| Both directors do not have to be present in Malaysia while your company is being register. Cost to register a new company here in Malaysia? What is required to start processing the Company Incorporation? What’s included in Virtual-Office.com.my Malaysia Company Registration package? In short, our listed price is all inclusive price. Your Malaysian company is ready and fully registered with Suruhanjaya Syarikat Malaysia (SSM) also known as Companies Commission of Malaysia. Once we inform you that your company is ready, you are ready to conduct business legally in your new Malaysian Company Name. Our listed price also include all charges and cost such as courier, handling, disbursement, stamping and any other miscellaneous cost. The estimated turn around time for the entire process is usually 21 working days.